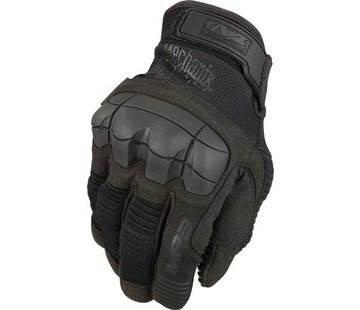 Mechanix Wear M-Pact Wolf Grey. 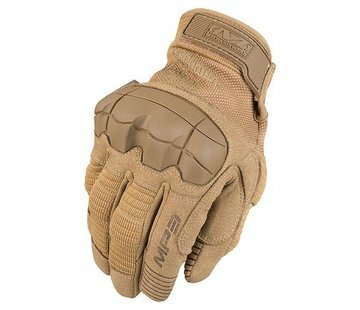 The M-Pact Wolf Grey provides law enforcement and special forces with tactical hand protection fit for urban environments. Impact-absorbing Thermal Plastic Rubber (TPR) delivers flexible protection in the field against impact injuries and skin abrasions. Out patented Impact Guard™ frees the index finger for smooth trigger guard entry and mobility during hard-charging operations. The dual-layer internal fingertip construction reinforces your thumb and index finger to provide improved abrasion resistance. XRD® padding in the palm absorbs impact and vibration to reduce hand fatigue when you’re fully engaged.